It is FINALLY looking and feeling like Spring here in Colorado so Jaxon and I have been able to go to the park and while he was off running around with some friends I took the opportunity to get some shots as evidence that we do actually have warm weather here and that Jaxon is one busy little man! 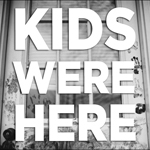 Here is the May edition of Kids Were Here. Stop by our blog Kids Were Here to check out my photography friends and their amazing work! Enjoy!